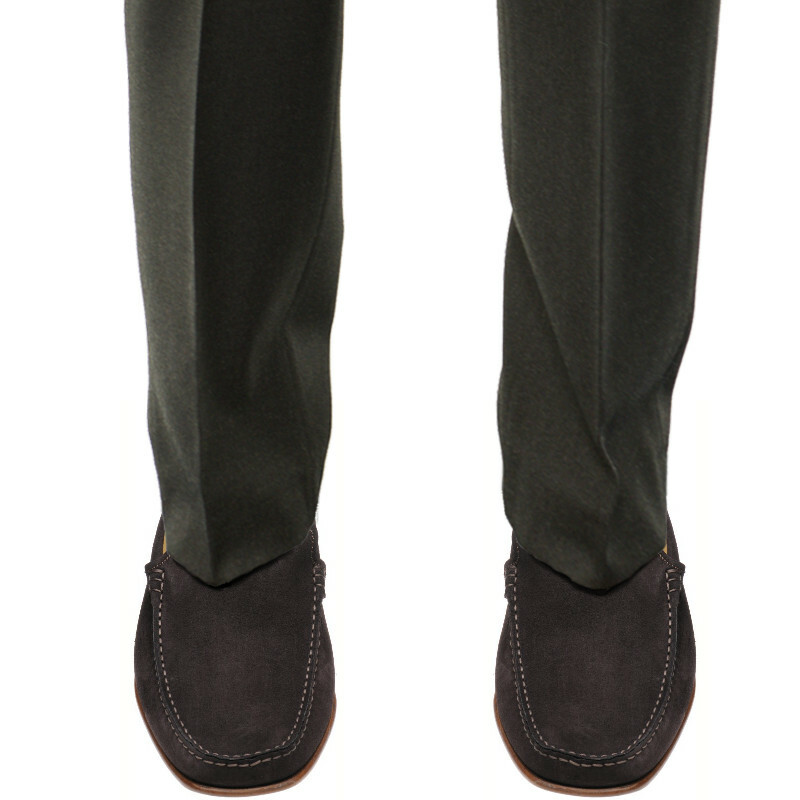 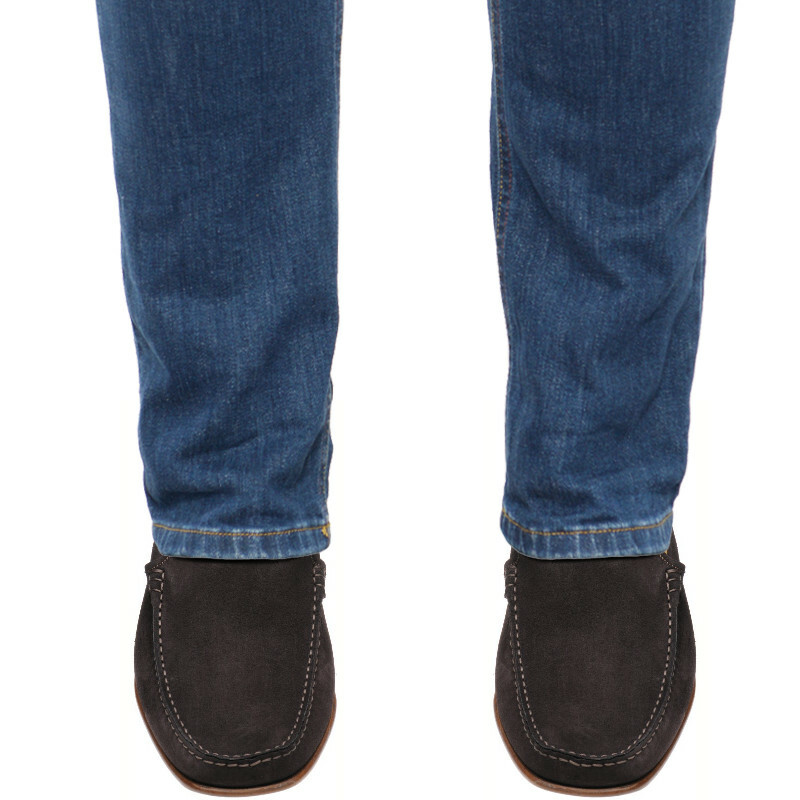 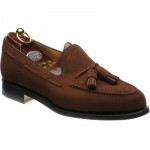 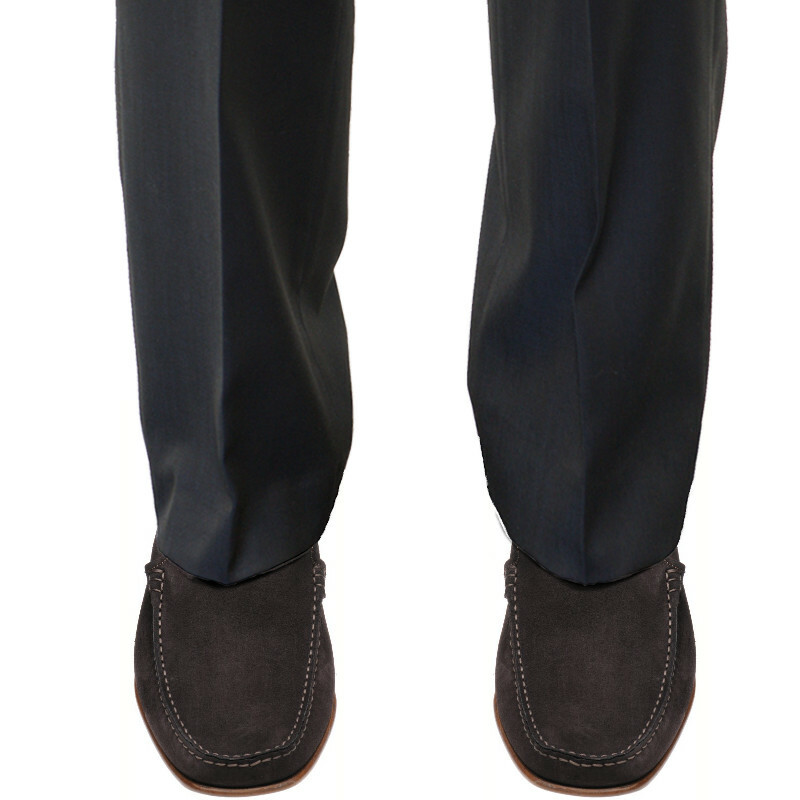 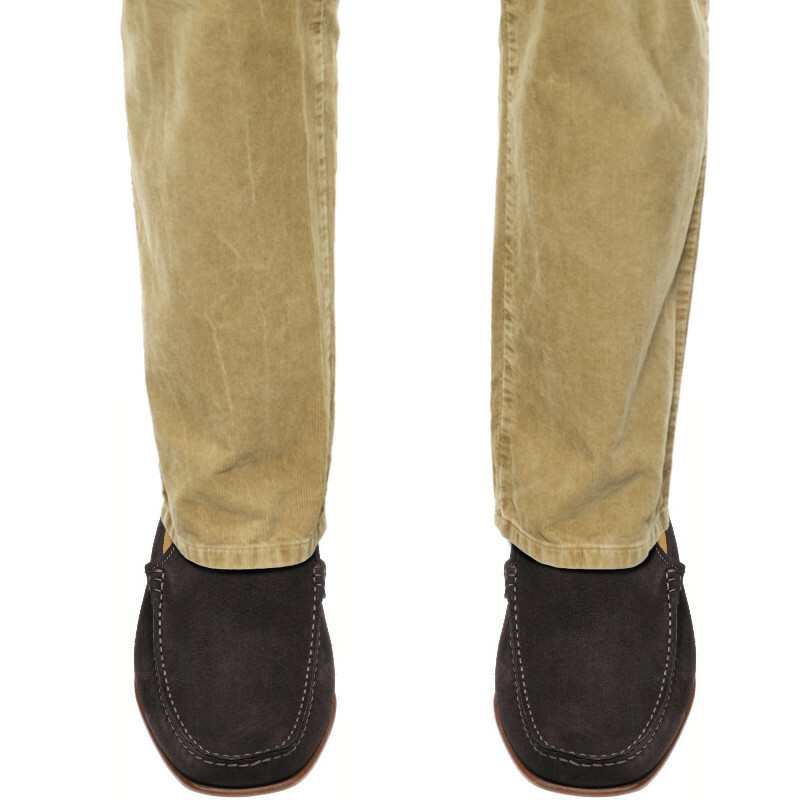 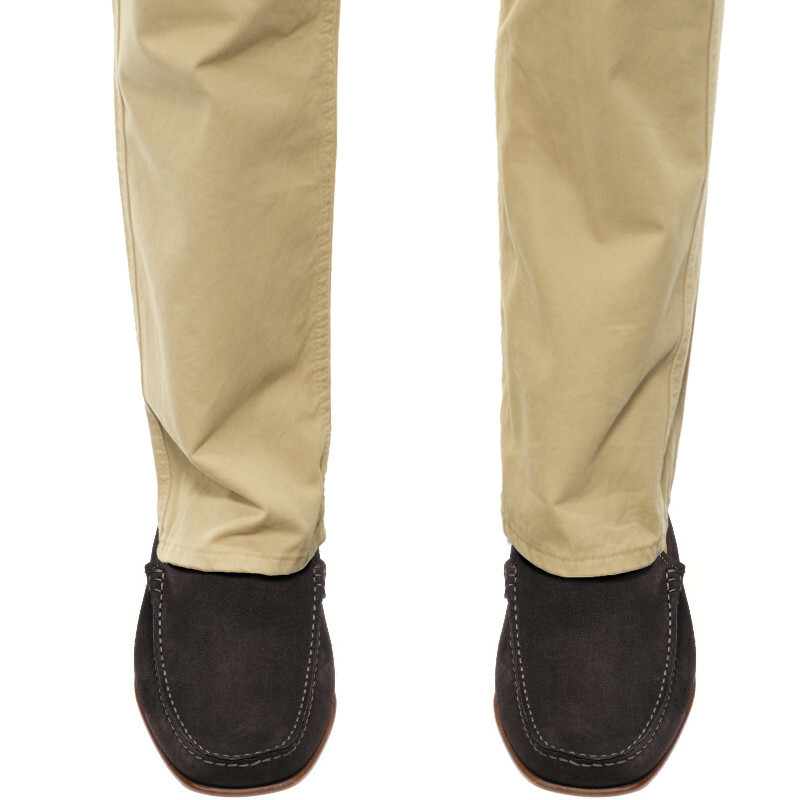 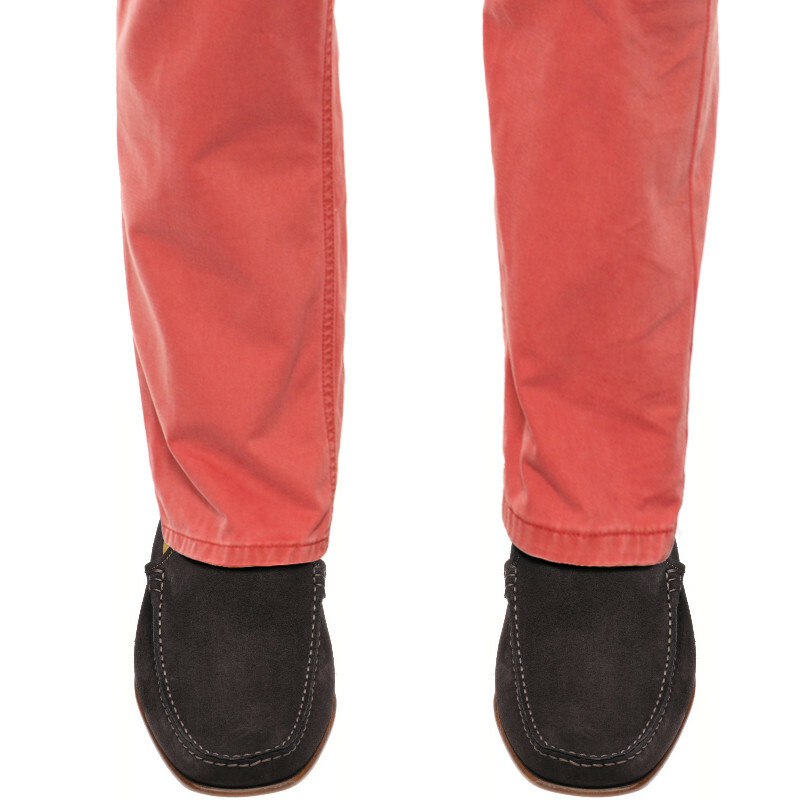 Classic hand-stitched moccasin made in Italy to our own design. 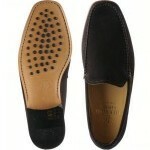 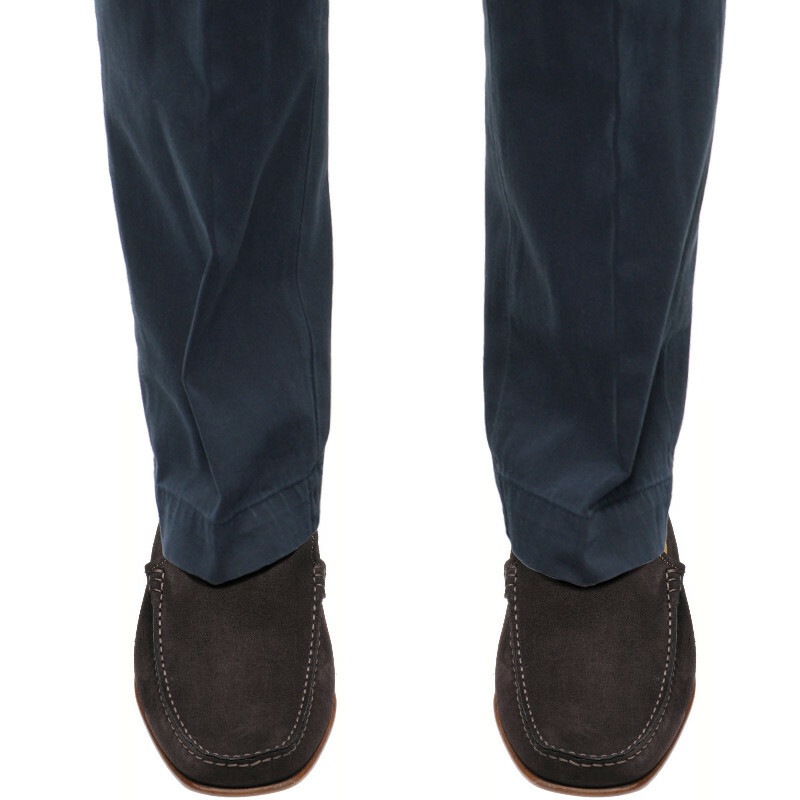 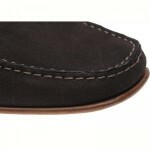 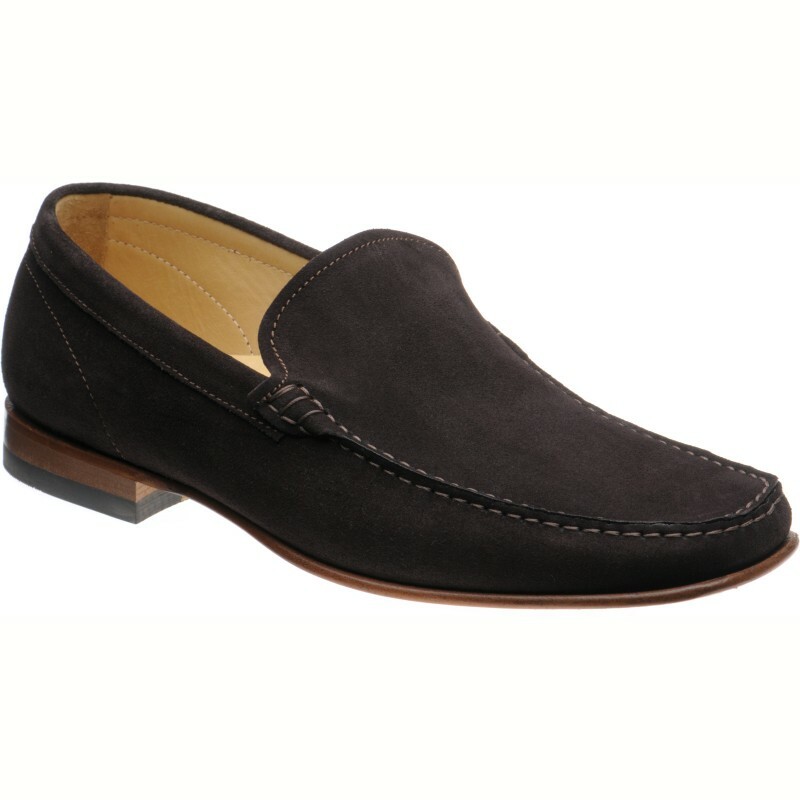 We use luxurious suede uppers and leather soles with rubber pimples and a vibram rubber heel for durability and grip. 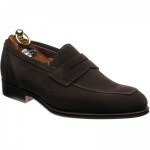 As this is a suede shoe the colour may vary from the photograph a little depending on lighting.